Haiti - assignment for Geo France.\n\nA band Rara are performing in downtown Port au Prince. Rara is a form of festival musict hat originated in Haiti for street procession. 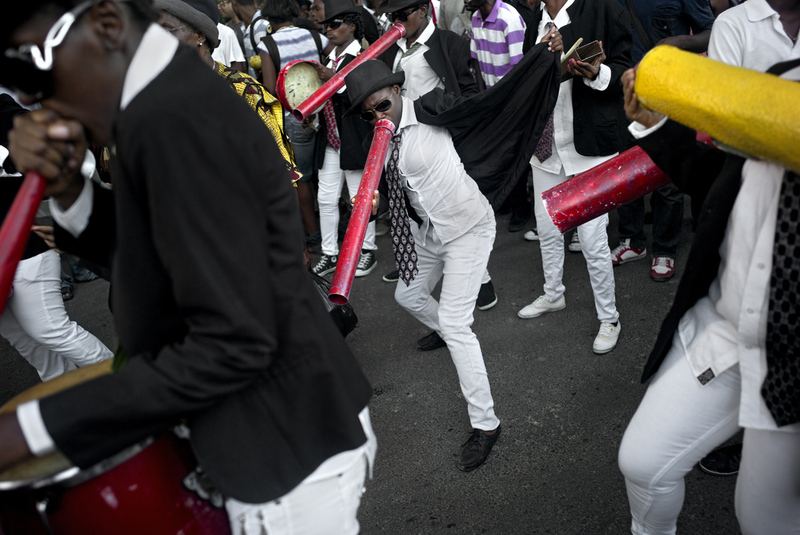 It typically celebrate the African ancesttry of the Haitian people.